Kaitlin joined All Star Financial after spending the first 10 years of her career at Bridgewater Bank. With this growing organization she served entrepreneurial and real estate focused clients with their deposit and loan needs. With Bridgewater’s headquarters being located in the same building as All Star Financial, she knew Bob for years before joining the All Star team. 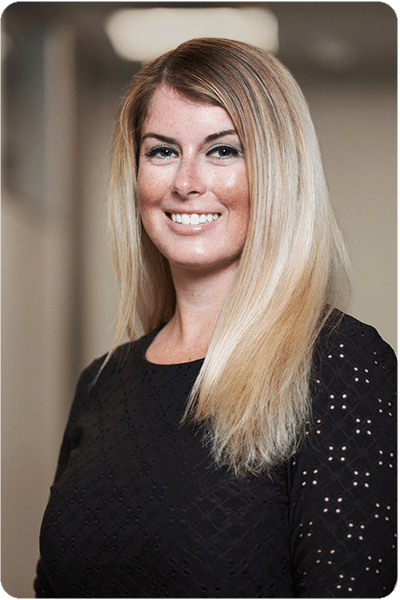 Kaitlin brings to All Star Financial her client service focus, attention to detail, and passion for EOS (Entrepreneurial Operation System based on the book Traction, which All Star began implementing in 2017). Kaitlin served on MNCREW, Minnesota Commercial Real Estate Women, as a Co-chair of the Events Committee for two years and enjoys the business relationships and friendships she has formed with many of its real estate businesswomen members. Kaitlin received a Bachelor’s degree in Finance from the University of St. Thomas. Originally from Bloomington, Kaitlin remains close with her family locally as well as those she enjoys visiting across the country.